Fantastic hand-drawn map of beautiful Canterbury in the garden of England, Kent. Featuring among other things Canterbury Cathedral. The original was hand-drawn by artist Peter Gander for Have a Gander, who is very familiar with the city as he lives nearby in Herne Bay and did his art degree in Canterbury. 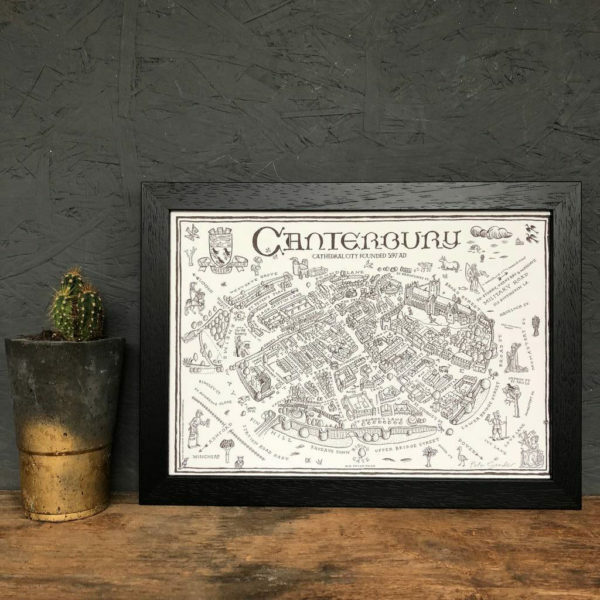 Map of Canterbury Signed Print is available in 2 different sizes A4 and A3. A4 available framed or unframed. Black, white and oak frames available. Larger sizes available on request, please message us with your requirements.